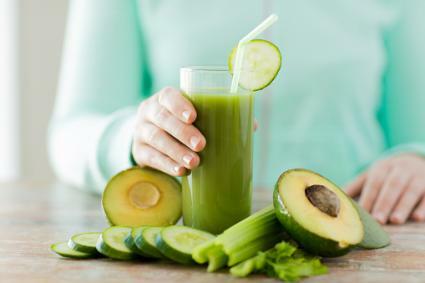 Juice fasting, or juice cleansing, is a way to detoxify your body and lose weight while drinking combinations of nutrient-dense fruit and vegetable juices. The reason this type of diet works for weight loss is because it causes you to reduce your caloric intake greatly. However, only consuming fruit and vegetable juice but nothing else for 10 days deprives your body of vital nutrients like protein, fiber, and fat, which isn't healthy. Therefore, it's best to follow a well-balanced, reduced-calorie diet and work healthy juices into your meal plan. Numerous risks and side effects are associated with a 10-day juice fast. This type of fast is a very low-calorie diet (800 calories or less daily), which is only safe while you are under medical supervision. Your menus will be deficient in protein, fat, and certain vitamins and minerals. Likewise, you may experience tiredness, frequent urination, constipation, diarrhea, headaches, dizziness, nausea, and mental fatigue if you follow the diet for 10 days. If you do decide to go ahead with any juice fast, consult your doctor before, during, and after the fast. Numerous resources are available to help you choose a juice recipe to use in your meal plan. Pick at least one fruit or vegetable and add your selections to a juicer with water. If you do choose to do a juice fast, select different combinations of fruits and veggies (of all different colors) to use for weight loss juices to make sure you're getting a variety of vitamins and minerals during your fast. The following sample menus are typical when following 10-day juice fast diets. Serving sizes are generally 1 to 2 cups at each meal and snack, and total calories will range from 600 to 800 calories. Following a 10-day juice fast leads to rapid weight loss, which is a benefit if you're overweight or obese and are at risk for health complications related to obesity. You could lose up to 5 pounds per week on this plan. Likewise, you may have more energy overall after losing weight. If you choose a variety of fruits and vegetables in your juicing menu, you'll be ingesting lots of vitamins and minerals. To reap the benefits of a juice fast without the risks and side effects, simply follow the diet for just one or two days instead of 10 -- or complement the juice fast with other healthy foods, eating at least 1,200 calories daily. The bottom line is that completing a 10-day juice fast means you should be monitored by a healthcare provider, and drinking only juice for 10 days isn't very healthy. However, you can still include a variety of healthy juices in well-balanced, reduced-calorie weight loss menus containing at least 1,200 calories per day. Or, try the juice fast for just one or two days instead of 10.